Oberammergau residents approved plans to move the Bavarian town's famous Passion play into the evening hours. Christian Stueckl, who is to direct the play for the third time when the once-a-decade production is next staged in 2010, had said he would step down if the referendum went against his plan. Productions of the play previously have run from 9:30 a.m. to 6:30 p.m., with a three-hour interval. Stueckl, citing artistic reasons, wants to start in the afternoon and have the play run into the dark evening hours, finishing at 10:30 p.m. The town council approved the idea, but some 600 residents signed a petition to force a referendum on the plan. Opponents cited concerns including the defense of tradition, higher costs and additional strain on the more than 2,000 actors who appear in each production. However, Mayor Rolf Zigon said Sunday's referendum ended with 64 percent voting in favor of Stueckl's plan. He said 65 percent of Oberammergau's 4,000 registered voters turned out. "I am very happy - now I know that I can carry on," Stueckl said. 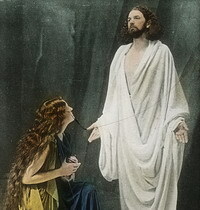 Florian Streibl, a representative of the plan's opponents, said they would respect the outcome, although "the night play is a big experiment that Oberammergau has never seen in this form." "Now we must all together lead the 2010 Passion play to success," Streibl said. The play has been performed since 1634. Actors must either be born in Oberammergau, or have lived for 20 years in the town of some 5,300 people.